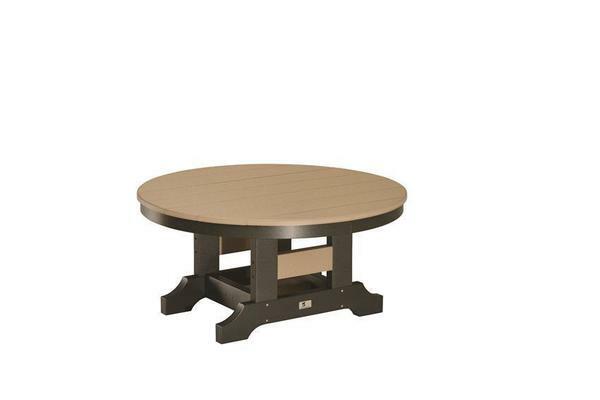 Pair our Berlin Gardens Poly Conversation Table with Adirondack Chairs or Comfo-Back Deck Chairs to create an intimate outdoor conversation area that you can enjoy with your family and friends. Available in an array of gorgeous colors so you can choose the perfect conversation table and make just the right statement in your outdoor decor! Each conversation table is handcrafted by skilled Amish woodworkers in the United States. And, since your eco-friendly outdoor furniture is made from 100% recycled poly lumber, your conversation table will not chip, crack, rot, or develop mold, ensuring your outdoor furniture will last for many years to come! We’re so excited to get our new Polywood Furniture just before summer! We absolutely love how everything turned out and can’t believe how comfortable all the seating is! Thanks to the DutchCrafters Staff, who were amazing to work with from beginning to end. Receiving color samples in the mail made it so much easier to make a decision. They also did a wonderful job walking us through all the options to be sure we didn’t miss a thing and all of our products would match! Looking forward to many summers relaxing in our new Polywood Furniture!